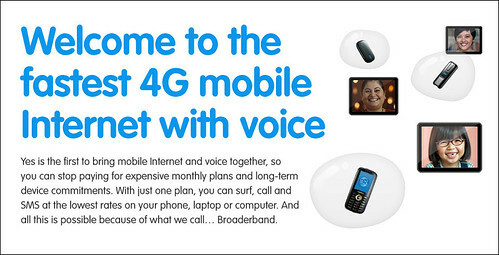 4G mobile internet with voice ??? 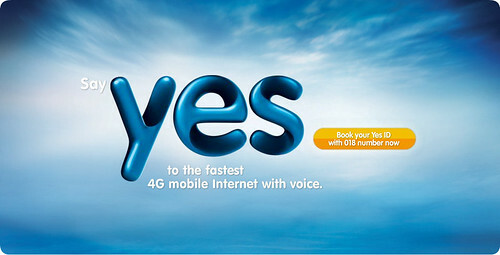 There’s this buzz about YTL’s Yes 4G mobile internet with voice. So I decided to check it out myself. Yes. 4G is about network created for mobile internet with voice, where 3G is about voice network with data added. That’s why 3G mobile internet is sluggish. You can already register your interest, reserving an email address to you, and even choose what mobile number that you want to use. Well, 018-3318469 number is no longer available. So, since it’s no string attached thingy, just go and register you interest here. And they better reveal something good, 12 days from now. That will be on, 19th November 2010.